With the New Year only a couple days old, utilize this season’s resolution-vibes to enjoy more travel in 2017. There’s nothing like reflecting back on past travels and current lifestyle to pick and choose what you can do the same or change up to fulfill your dreams. 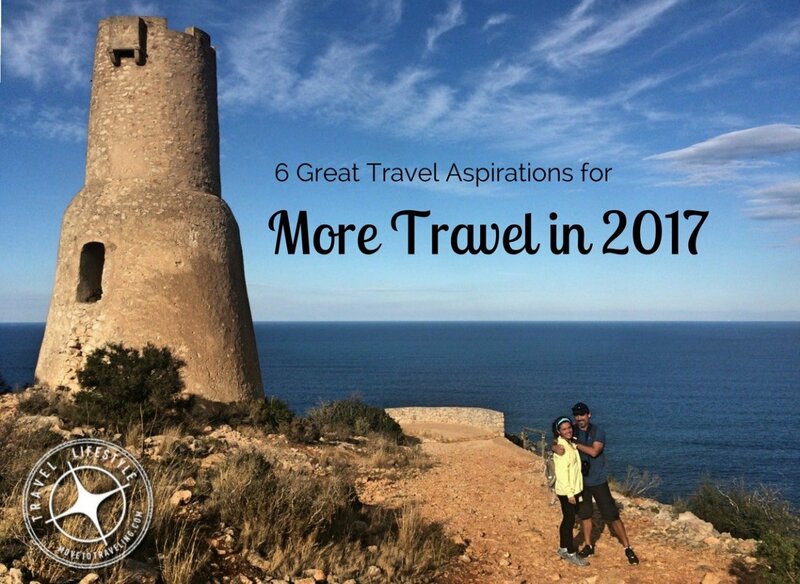 To help you out, here are our top 6 New Year’s aspirations for more travel in 2017. Let’s set the attitude for 2017. We’re big believers that people accomplish more and achieve their dreams, when they focus on what they want, rather than on what they don’t want. So with this in mind, we’re being intentional about keeping our focus on what we do want out of more travel in 2017. This takes the power of our thoughts and visualizing is key for harnessing your thoughts to be on what you want. So go to town on creating a collage full of images of the places you want to visit, the people you want to see, the food you want to try and the experiences you would love to enjoy. Another fun way to charge the juices for more travel in 2017, is to watch movies and shows that pertain to a place you want to visit. There’s an endless array of options with the Travel Channel, History Channel, Netflix and more. Above Image – Looking down from La Jarra tower at Las Rotas in Denia, Spain. When people love travel it’s usually for the feelings it evokes in us. There’s excitement, awe and wonder, inspiration, thrill, joy and laughter…the friendly warmth of making new friends, the relaxation of a lovely setting, and the intimate connection of experiencing the world and each other. Choose thoughts and activities that encourage these kinds of feelings, where you are now and before you’re even off and living those travel-dreams. According to ‘The Secret’, we can attract what we desire in three steps: ASK, BELIEVE and RECEIVE. Focus on the fulfillment or end-result of what you want, not that you don’t already have it or ‘how’ it’s going to come about. We love where we live, so it’s no surprise that people want to visit us and we enjoy sharing this part of the world with others. This year we’re especially excited to host our families at different times throughout the year and friends who can come visit as the opportunity arises. 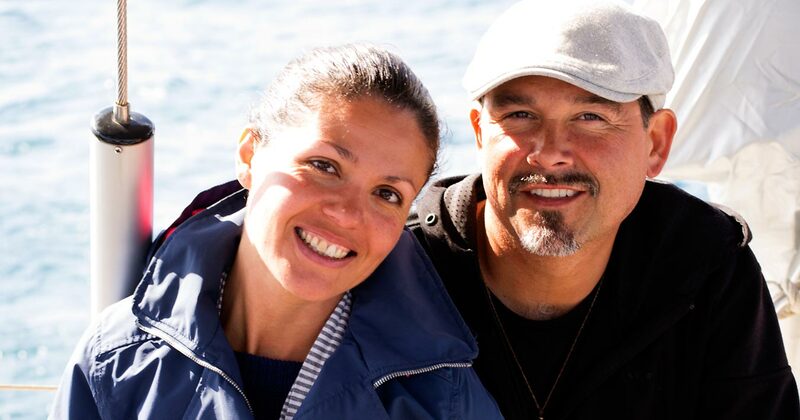 For us, hosting is another great way to enjoy what we love about travel – enjoying good times with people, experiencing amazing gastronomy, and seeing historic sites and culture. Over time we’ve also learned more about how we want to host. While we love having people stay in our home, we encourage friends to get a hotel for themselves if they want to visit for more than a weekend or few days. When family visit, we tend to host them in our home for anywhere from one week to two, yet we usually travel elsewhere with them as well so we’re not always in our house. 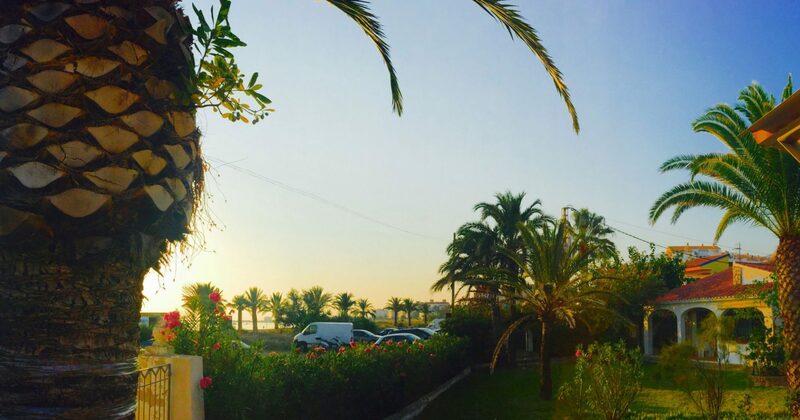 What is also nice is that we live right next to a nice little hotel and close to many other hotels here in Denia that provide an array of accommodation options if our visitors need or like. 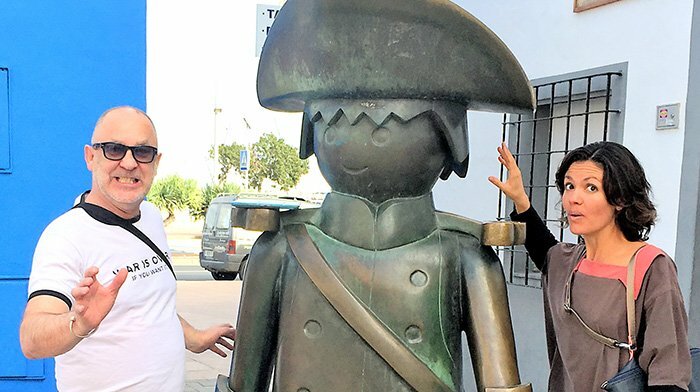 In 2015 Dénia was designated by UNESCO as Creative City of Gastronomy! Stay tuned and subscribe to read our upcoming interview of Denia’s Department of Creative City of Gastronomy. 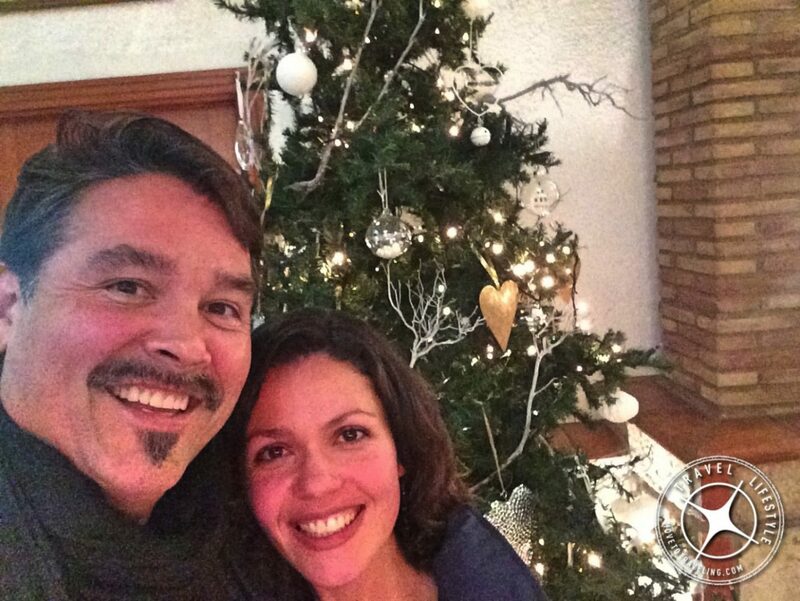 Do you have plans to host family or friends during this year? How do you host people and what things do you think you’ll do the same or change up for 2017? When traveling a lot, it’s good to consider how your choice of home can better support more travel in 2017. Is it a home you feel comfortable leaving for weeks or months at a time? Do you want a year-long commitment or longer or shorter, and how much space do you want? Gist is, for more travel in 2017, consider how your main home-base housing can contribute to your travel dreams. We take into consideration that we work online, which means working at home when we’re not on the road. We want our home-base to be aesthetically pleasing, inspiring and comfortable for us. Our work is creative and incorporates visual art and storytelling, so we like a space that inspires that as well. For us that means beautiful vistas, lots of natural sunlight filling the house, that it’s furnished well, updated appliances, and conveniently located. These are things that you really have to pay attention to when living in another country. Housing is one of the biggest differences when living abroad and traveling. For example, in Spain the homes have tile floors everywhere and in the winter, especially right on the humid, wet beach, this makes for a very cold interior. If you’re going to be living in Spain in the winter, make sure to have good large rugs, ensure that the house has a good heater (which is different than heating tends to be in the US), and pay attention to the windows being double-paned and updated. Remember that many homes throughout Spain and Europe also utilize butane gas tanks for heating their stoves and water. There are homes that use electricity or even solar power instead, but be aware that butane gas tanks are still the more common utility in homes throughout Spain. 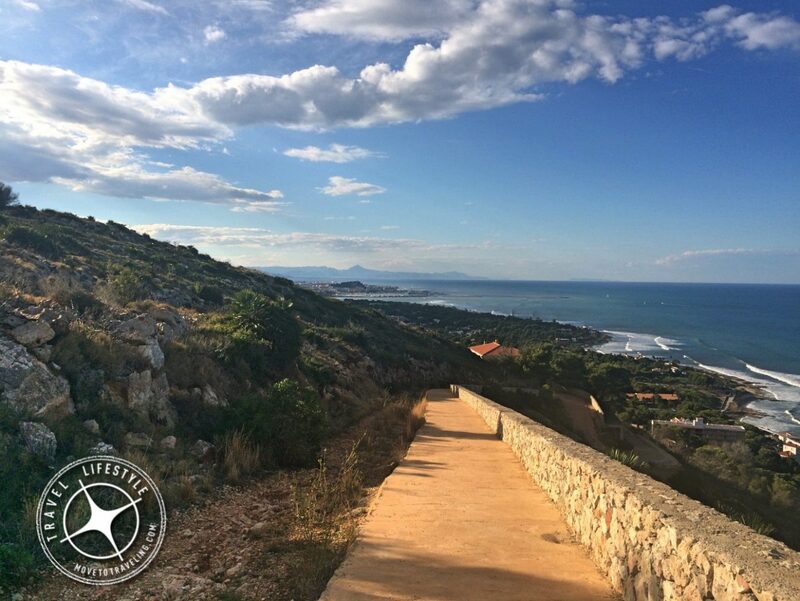 Our town of Denia is a very popular beach town for the summer, especially among Spaniards from Madrid (Madrileños). This means they’re built for the summertime and not necessarily ‘winterized’. Something that we are taking into more account with our next place. Space is another big part of the housing choice. We are just two people and while we do love to host people, we’ve decided that we are open to a smaller place. 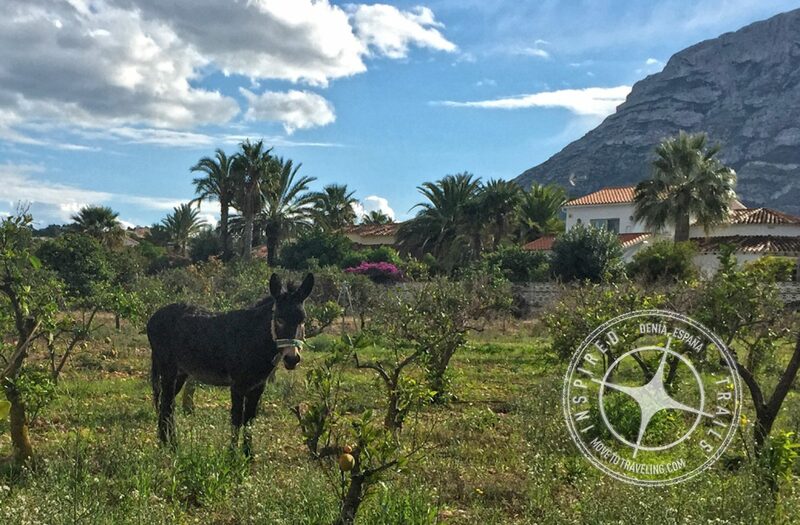 Now in Denia, this once again is influenced by being a holiday town. The average home (house or apartment) is 2-3 bedrooms and 2 bathrooms, for practically the same price, or not much more, than a 1 bedroom. So because of the nature of the market here, we’re most likely to still end up in a 3 bedroom, 2 bathroom house or apartment. Another one of our favorite aspects of travel is the people we meet. 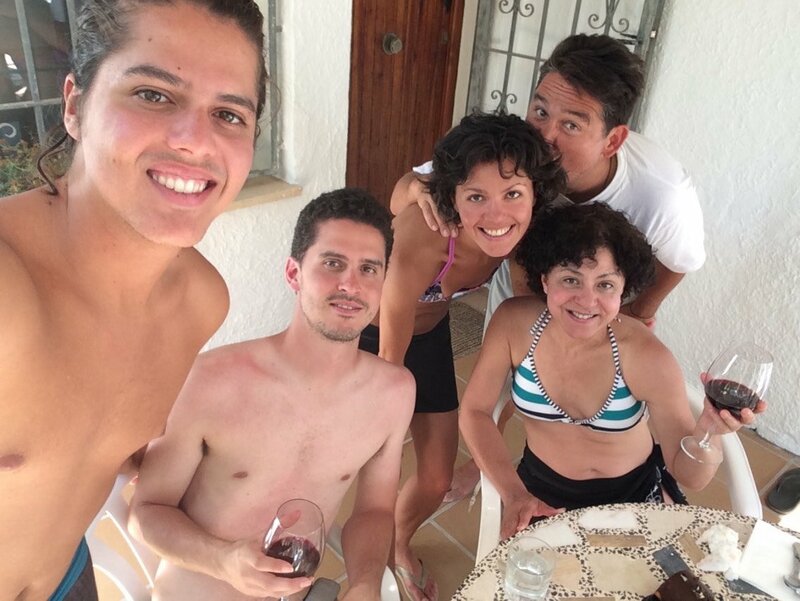 It puts us right in the path of meeting other travelers who we share our love for traveling with. To further that this year, we are not only featuring guest travel writers here on Move to Traveling, but we are also contributing travel stories to other great travel sites online. One of the travel sites we are contributors for is Hey! Dip Your Toes In. 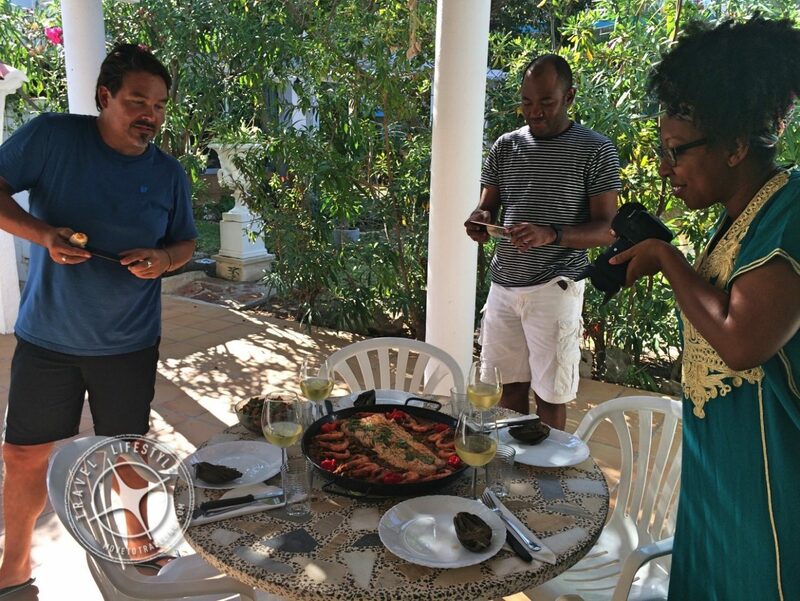 Last year we collaborated with them on a paella recipe we concocted when Eulanda and Omo came to visit us in Denia. We look forward to crafting more creative travel stories with them throughout 2017. Travel storytelling is just one of many ways to collaborate with fellow travelers. More and more local tourism groups and travel companies are focusing on travel by experiencing local cultures. AirBnB is especially taking this to new frontiers with their ‘World of Trips’, providing even more ways to enjoy travel by connecting with people and the local culture. Film is one of Eric’s passions and his next dream in life to fulfill. So it’s no surprise that we love creating videos of our travels. Videos today are some of the most powerful storytelling methods in our world. 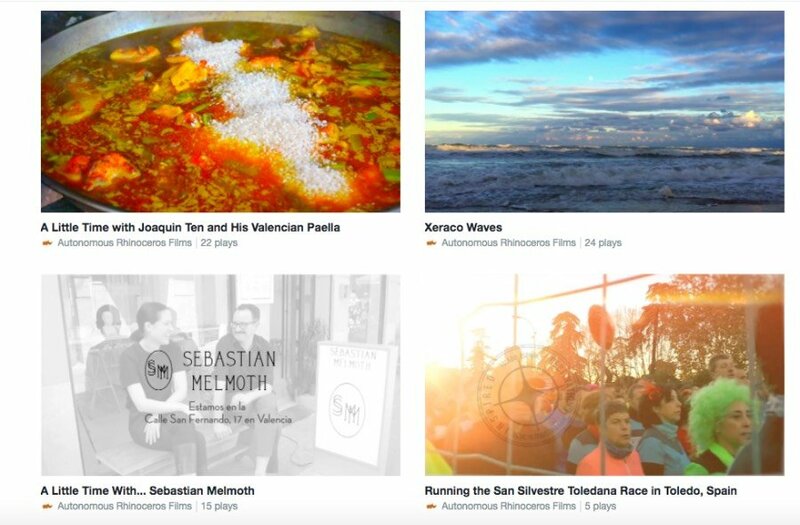 To house and share our travel videos, we use a combination of Vimeo, our Move to Traveling website which is WordPress-based, social media, and our film company website AutonomousRhinoceros.com, which is also WordPress-based. As you probably know, creating videos also means having the gear for it. Now, today you can make some pretty awesome videos with an iPhone, your tablet, a GoPro…all sorts of great new tools. To take it to another level and quality, we have an array of cameras for stills versus video and some that do both. We incorporate our iPhones 5S and 6, a GoPro, a Nikon camera for stills and video, and we’re big-time Mac users. Yet this year we’re excited to invest into some new gear and update what we already have. 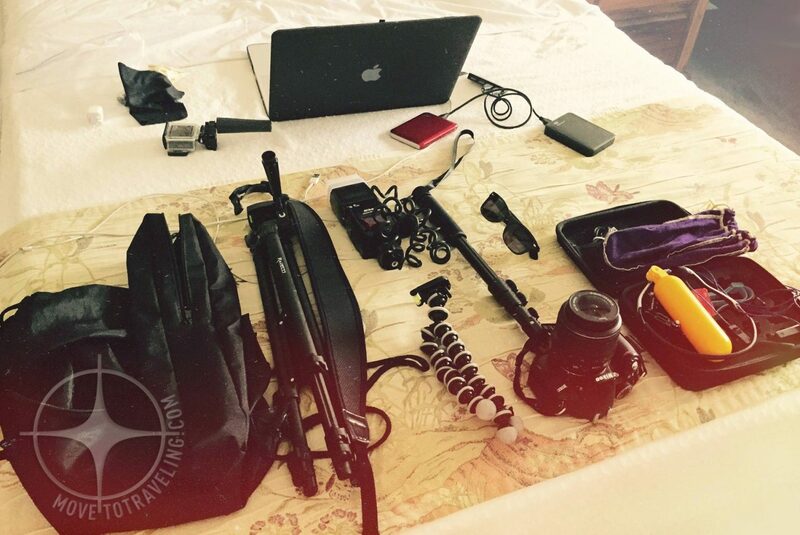 Above Image – Read more about travel gear for producers and creatives. On our gear wish list is the latest iPhone 7 Plus, the new GoPro Karma (drone and stabilizer), the Sony FDR-AX55 camera for video and stills (to be released in 2017), and possibly a new desktop screen for Eric’s editing setup with his Mac Books. Let’s not forget what we carrying this around in, not to mention clothes and such when we travel. Yah, let’s not forget clothes! Amalia is planning to get the Victorinox Spectra Dual Access Global Carry-On suitcase and Eric will be equipped with a piece from the Pelican Elite Luggage Series; we’re thinking perhaps ‘the Weekender’ will suit him well. What gear do you want this year for traveling more in 2017? If you have some that you’re already loving and want to recommend to us or that you think we should checkout and review, we’d love to hear about it – leave a comment or contact us to let us know. 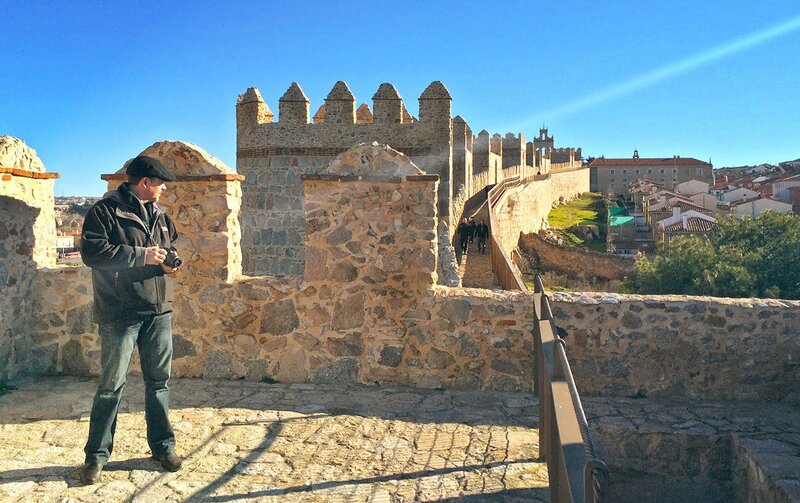 Above Image – Eric getting some great shots on the Medieval wall of Avila, Spain. We ‘moved to traveling’ almost 2 years ago now, and we still can fit our life into 3 medium-size suitcases. We still have no car and have gone through our clothes and given items away twice now since living in Spain. To be so light has not lost its charm – it’s glorious. While we don’t mind collecting some things in this new year and redoing our wardrobes with some shopping, we are committed to still keeping it light. This is not only part of our lifestyle, but has helped us become even more conscious about our impact on the environment and how we can leave a positive footprint wherever we go. It continues to teach us so much about what things we value and want to continue investing in, be it things or experiences, and most certainly people and relationships. What do we mean by staying ‘light in work’? It means that we want to not loose site of why we have our own businesses and work for ourselves – it’s actually our mentality about creating work of quality rather than work of quantity. We believe that great and profitable work can be created efficiently, with less hours than the average 9-5 for a corporation. Sometimes we work more hours in a day yet for the most part, we accomplish our work in less hours and days of the week so that we can explore, travel and live. Because like that great saying goes, we work to live, not live to work. That and we don’t see it as work – we love what we do and see it as our calling and passion. As you can see, we haven’t even mentioned exact places we want to visit in 2017. We definitely have our list, from Extremadura to Florence, Italy, Granada to Segovia and more. Yet for kicking off the year, we feel that these 6 things lay a good foundation for more travel in 2017. A lot of people are asking us when we plan to visit the US again. We’re not sure if it’s going to be anytime in 2017 and honestly, it’s further down on our list compared to the other places we want to travel to and just how much we enjoy living in Spain. What we do know is that we’re excited for more travel in 2017 and continuing this traveling lifestyle. Are we happy that we decided to move to traveling? We certainly are! And each day we’re experiencing what a traveling lifestyle can look like and how it can be created. And may all your travel dreams for 2017 come true. This sidebar includes affiliate links that we may receive a commission from, at no extra cost to you. Be notified about our latest travel stories and videos, and receive a free monthly screensaver of one of our epic travel photos. Thank you! You've successfully subscribed.